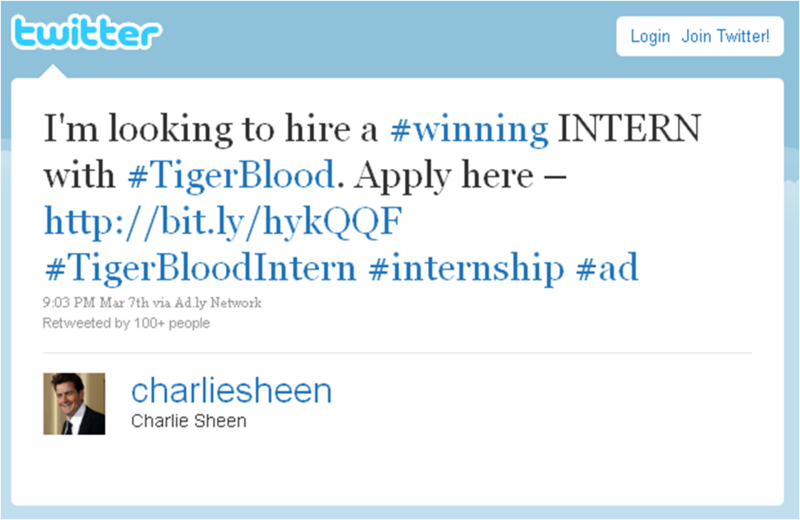 Charlie Sheen intern tweet generates 74,040 applications for #TigerBloodIntern! In the recent chaos around his career, Charlie Sheen decided to join Twitter and broke records as 1 million people became followers of @charliesheen in just 24 hours! "Do you have #TigerBlood? Are you all about #Winning? Can you #PlanBetter than anyone else? 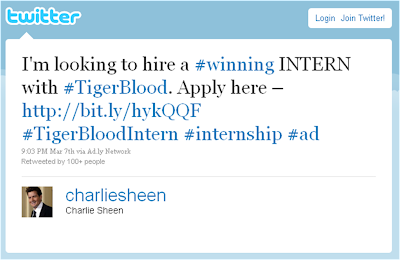 If so, we want you on #TeamSheen as our social media #TigerBloodIntern! You will learn how to promote and develop the social media network of Hollywood’s most trending celebrity." And the results? 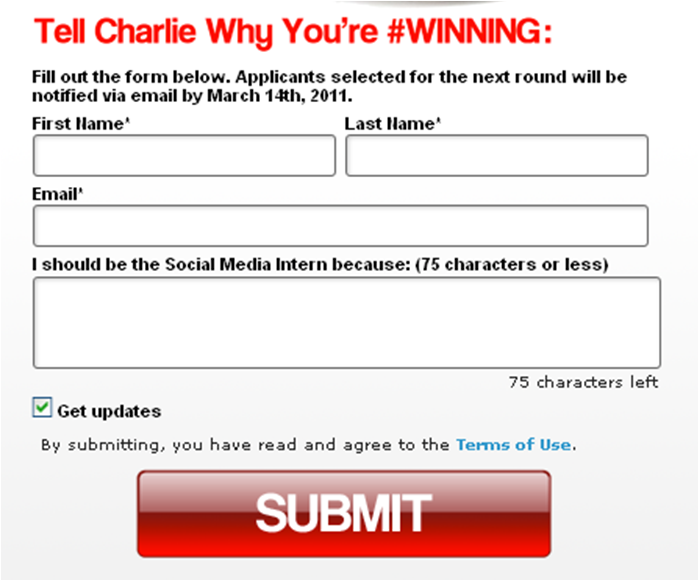 Internships.com have created an infographic to show what happened - the link in Charlie Sheen's tweet was clicked 95,333 in one hour, across 181 countries and yielded 74,040 applications! How's that for the power of Tiger Blood / the celebrity power of Twitter? Made by the team at SignedOn. In the video we're using a new QR technology that we hope to make video integrated with interactive features - something that Sheen could totally use on Sheen's Korner and his Twitter.